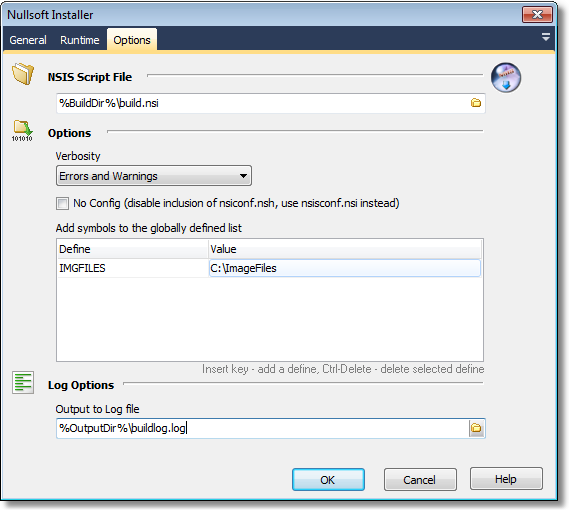 The Nullsoft Installer action enables you to automate building Nullsoft Installer projects. NSIS (Nullsoft Scriptable Install System) is a tool that allows programmers to create installers for Windows. It is released under an open source license and is completely free for any use.